A bill to ban keeping orca whales in captivity in New York is gaining traction in the state legislature, thanks to the help of a former SeaWorld trainer. John Hargrove, an ex-orca trainer and contributor to the documentary "Blackfish," headed to Albany last week to offer his testimony in favor of Senate Bill 6613, or the "Blackfish Bill," a symbolic piece of legislation that was inspired by the film and represents the state's opposition to orca captivity. "The documentary ‘Blackfish' opened a lot of eyes to the conditions orca whales are often subject to when they are held captive," Sen. Greg Ball (R-Patterson), who introduced the bill, said in a statement. "These are huge, intelligent and majestic creatures and it is an atrocity that they sit captive in oversized tubs. We want to send a message as a state that we will never allow this type of cruelty in New York." 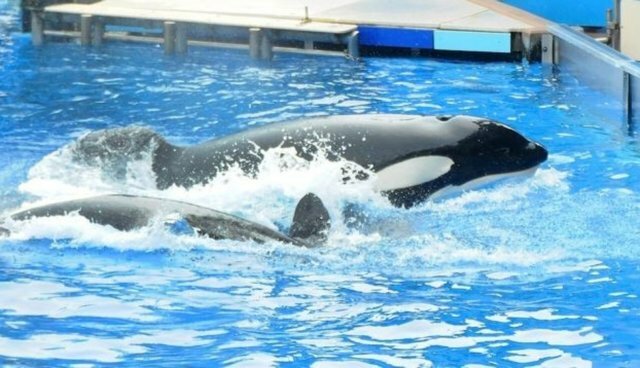 Ball's bill is not the first piece of legislation to follow from "Blackfish": California Assemblymember Richard Bloom introduced a similar bill earlier this year, intended to ban orca performance shows across the state. Both bills have rallied huge support on both sides of the aisle, with petitions in favor of their passage -- and in favor of banning orca captivity -- listing hundreds of thousands of names.